Mary Boleyn was most likely the eldest daughter of Thomas Boleyn and Elizabeth Howard – the family settled at Hever Castle in Kent. Mary is best known as the sister of Anne Boleyn and the mistress of Henry VIII. It was the relationship with Henry VIII that led Mary into her first marriage with William Carey. On the 4th of February 1520, Mary married William Carey who was a gentleman of the royal privy chamber. Even though he did not have a great title and lands the position meant he had intimate contact with the king on a daily basis – which is one of the best places to be. Historians are unsure of when exactly the affair between Henry and Mary occurred but there have been suggestions that at least Mary’s oldest child, her daughter Catherine, was fathered by Henry VIII – she was born in 1524. This would mean that the affair was going on during their marriage. Is that why the marriage was arranged? The 1528 outbreak of the sweating sickness arrived in London in May, and by the 22nd of June, William Carey was dead and Mary Boleyn a widow. Left behind with two children (Catherine & Henry) to provide for, Mary was left with a significant financial burden. The only way out was to write to Henry VIII and ask for assistance. At the time, her sister Anne was very close to the king as well. Henry acknowledged Mary and offered financial assistance for her from her father and granted the wardship of her son Henry Carey to Anne. One must assume that Catherine was raised by her mother. 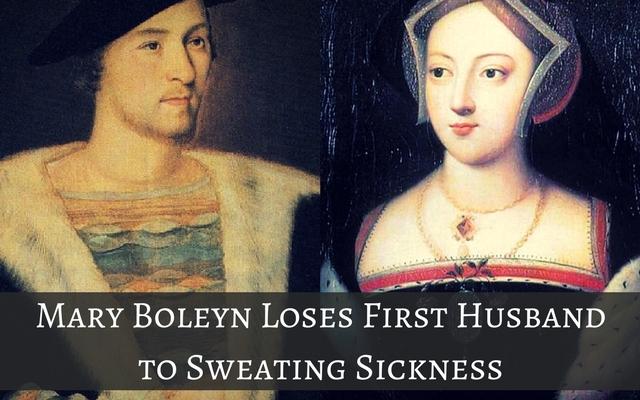 Have they ever discovered just what the Sweating Sickness was? Of course it is impossible to be certain but I would be suspicious of typhus as the cause of sweating sickness . I am a descendant of Miles Cary, 1623-1667,immigrant and of John Woodson, killed in Indian attack of 1644. 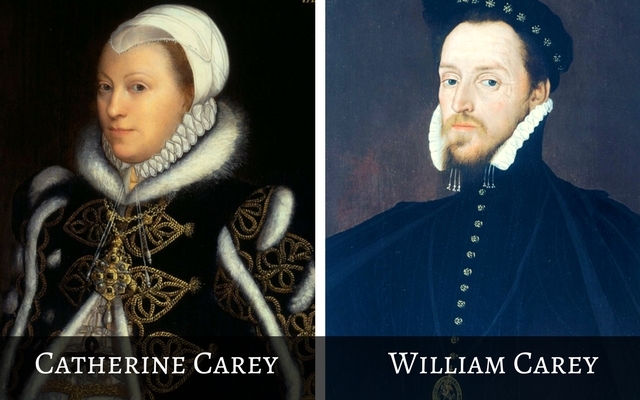 A DNA test indicates we are descendants of Mary Boleyn and Kings and Queens of England and France through Miles Cary. William Cary was a relative of King Henry VII, House of Stuart.